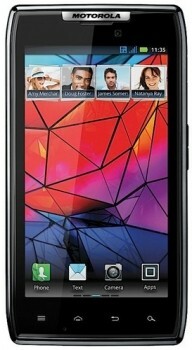 Motorola has launched their Droid Razr smartphone today via Verizon Wireless but it’s Amazon Wireless that is offering the best deal to new subscribers. To celebrate today’s date (11-11-2011), Amazon is selling the Droid Razr for only $111.11, down from the regular price of $299.99. As with most good deals, there are a few restrictions you need to be aware of. First, the deal only applies to new Verizon Wireless customers. Existing customers eligible for an upgrade are reportedly being offered the phone for $249, although we haven’t been able to independently confirm that. A two year service agreement seals the deal, which is par for the course with smartphone contacts these days. Additionally, Amazon’s fine print states that users who receive this deal must maintain service with Verizon in good standing for a minimum of 181 consecutive days. Failure to activate the phone or if service is canceled before 181 days will result in a $250 charge per device. This isn’t the first time that Amazon has offered Verizon phones at a ridiculously low price. Last month the company offered all Verizon phones (minus the iPhone) for one penny to new subscribers who signed a two year contact. That deal lasted nearly a week; we are unsure how long today’s deal runs. As of writing, the phone is listed as backordered on Amazon’s website with a note that suggests it will ship in 8 to 9 days. The 4G LTE Droid Razr packs a dual-core 1.2GHz processor, 4.3-inch Super AMOLED Advanced display operating at 540 x 960 resolution, 16GB of internal storage and an 8MP rear camera.